Hectic schedules and busy lives have put household maintenance on the back burner for many of us. Our day to day lives are full of family, work, and play. None of us want to worry about those pesky chores. That’s where Clean Arrival LLC excels! Waste no more time decluttering the kitchen and scrubbing the bathroom. Hire the best Gladstone cleaners around. 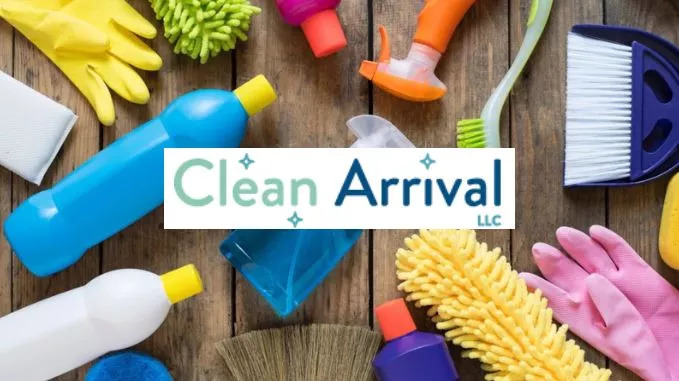 Here at Clean Arrival LLC, our mission is to help you simplify your life, from the moment you book our services to the minute we finish cleaning. Every step of our house cleaning service is tailors to be simple, clear and professional. We currently provide fast online booking with up-front pricing. We keep our communication crystal clear, following up each booked service with clear reminder emails. Each clean is then completed with the utmost care. All cleaners complete an extensive cleaning checklist so nothing gets forgotten. Not ready to tackle those month old cobwebs yourself? Tired of that grimy tub? Clean Arrival Has it handled. Our deep cleaning service focuses on giving attention to all the forgotten and left behind areas of your home. We will give you tub and grout the extra scrub it needs. Your kitchen will sparkle after we degrease that cooktop. Say goodbye to all that built up dust and debris in your bedrooms. Our Gladstone cleaners will take the scuff of your walls and renew your baseboards with a good scrub. We excel at cleaning at home cleaning maintenance, no matter what the living situation. Home, condo, apartment we do it all. Focusing on the high traffic areas of your home, our recurring cleans mean you can forget about the mess. Contact us today for a free quote or to schedule our Gladstone cleaners at 503-567-5404. You can also message us on Facebook or email us here.